Not much exciting about this update, but hopefully that's a sign that AC is now getting more mature. This update focuses on bugfixing and some behind-the-scenes changes to the save system, but there are still a few goodies to be found. The acts of file-saving, option-saving, and data serialization are now all delegated to separate interfaces - making it easier to manage but also now possible to override them with custom scripts. This should make it feasible, with some customisation, for a project to run on a platform that AC doesn't officially support. On the game/design side of things, nothing (hopefully) should be different, however. Vector3s are now available as an option when creating variables and parameters. They can be used in the Object: Teleport and Object: Transform Actions, and can be written to with the new Object: Record transform Action. Fixed: GameCameras not being able to move vertically if the X-axis movement option is set to "Side Scrolling"
WOOOW. Nice job Chris. It's great update!!! Bit of a mouthful, but custom coders may find this useful. Basically you can now define your own tokens of the form [key:value] which, when placed in speech text, can trigger a event that can be used to run custom code. See Section 10.5.1 of the Manual for more on how they work. @ChrisIceBox Could you give an example of what you mean by "customising the time display of save files?" I would have just thought, you either show it you don't - what is there to customise? Unless you mean customisation options are included, like only show date, or only show 12 hour clock or something like that. Can't wait to try the Custom speech event tokens it sounds perfect for my emoticons system (before I was using a custom action), I just got to make sure I can pass or parse the character's name too and I'm all set (I use the name to identify who should show what). @Deckard_89: There's a new Time display option - Custom format. This allows you to enter in a Microsoft-standard date format string (see this article). The default value is MMMM dd, yyyy - which translates to Sept 04, 2017. "Added: The "Input: QTE" Action now supports axis-based QTEs"
I was away for a long time working on something else. Opened up Unity and Imported Adventure Studio and Playmaker, ready to start working on some ideas I have and seeing what sticks. No 2D platformers or anything else. So....just for my reference, what tutorials or updates is the best to start learning as of today? For instance is this still relevant? otherwise i guess the manual right? 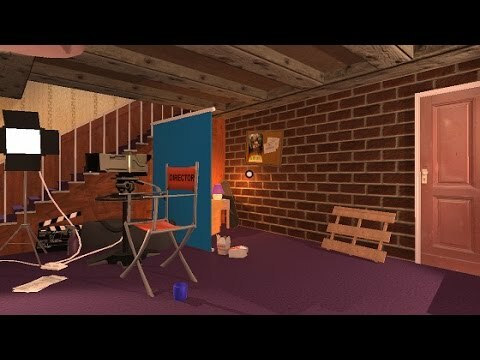 Yes, the first-person video is still fine. The video tutorials are updated with annotations where things have changed, but nothing major. The Manual is always correct, though, and has been recently re-written with images, pro-tips and additional notes. I think I've found a bug: my default camera in a scene follows the player horizontally. It works perfectly until I save and then load the save game with "Always reload scene when loading a save file?" checked. When I do that, the camera breaks and doesn't follow the player anymore. I thought I had broken it because I had been messing with some new assets, but I created a new project and it still happens. I updated to 1.59 today, so the timing makes sense too. @Rairun: And the camera has a ConstantID component? Does it not start at the correct place or just not move afterwards? I can't recreate - please post a new thread in Technical Q&A with more details: including the Unity version, platform, and game perspective. How odd, for some reason all my cameras were missing the ConstantID component. Added it, and it now works without a hitch. Thank you! Is current version Unity 2017-compatible? Fixed: Issues with Inventory properties of type "Vector3"